I recently met with IN Live! network host Limor Schafman to discuss The Mindful Marketer. We discussed how mindfulness is playing an increasingly important role in corporations—both in personal practice and in regards to marketing strategy. I shared how these new trends in mindfulness can help marketing leaders be more effective, and create deeper connections with customers. I invite you to watch the interview, and let me know what you think in the comments below. 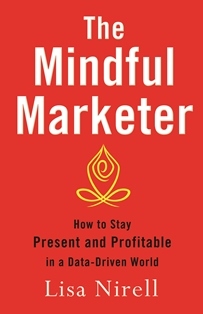 What are some ways you are incorporating mindfulness into your marketing? What results have you seen? About the interviewer: Limor Schafman has brought her expertise in product development, marketing strategy and business development to the video game, theme park, telecom, and technology industries. She has consulted to and trained Fortune 500s in innovation, customer intimacy and lean startup methodologies. Visit her blog at InnovationNetwork.guru.